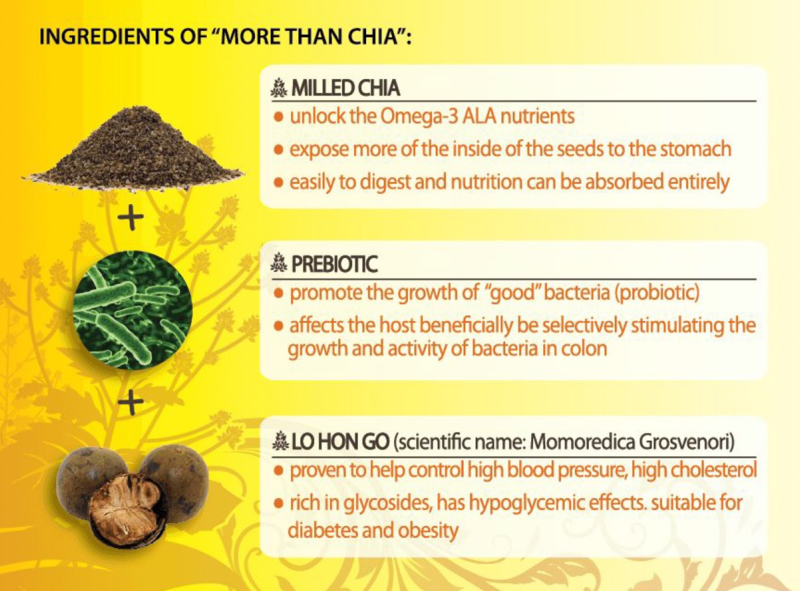 More Than Chia delivers more health benefits than chia seed alone. 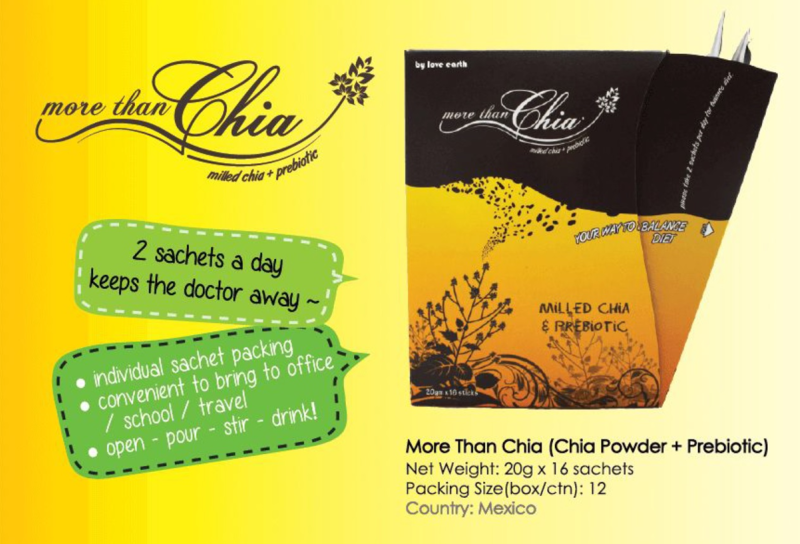 The combination of one nature’s true super food, chia seed and prebiotics benefits the body by delivering maximum nutrients with minimum calories and promotes digestion, energy and detoxification. Easy steps: Open – Pour – Stir – Drink! 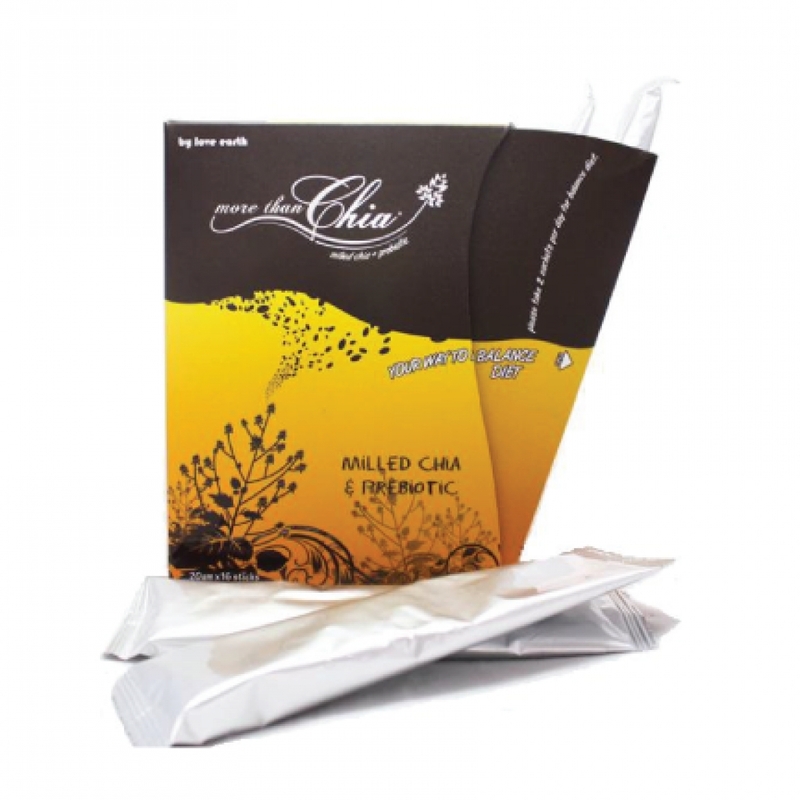 Milled Chia – Unlock the Omega-3 ALA nutrients, expose more of the inside of the seeds to the stomach, easily to digest and nutrition can be absorbed entirely. Prebiotic – Promotes the growth of ‘good’ bacteria (probiotics), affects the host beneficially be selectively stimulating the growth and activity of bacteria in colon.